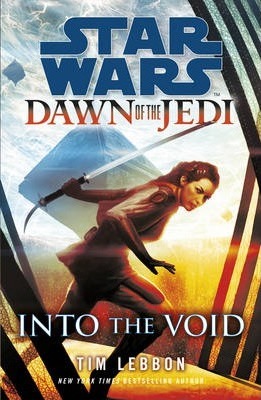 A stand-alone hardcover tie-in to the successful comic book series, Star Wars: Dawn of the Jedi, written by fantasy novelist, Tim Lebbon. Taking place thousands of years before the time of Luke Skywalker and Darth Vader. On the remote world Tython ancient philosophers and scientists share their mystical knowledge and study the ways of the Force. They establish the order of the Je'daii - which, in years to come, will become the Jedi. But first these visitors from so many different planets must colonize a dangerous new homeworld and surmount societal conflicts as the burgeoning Rakatan Empire prepares to conquer the known galaxy.